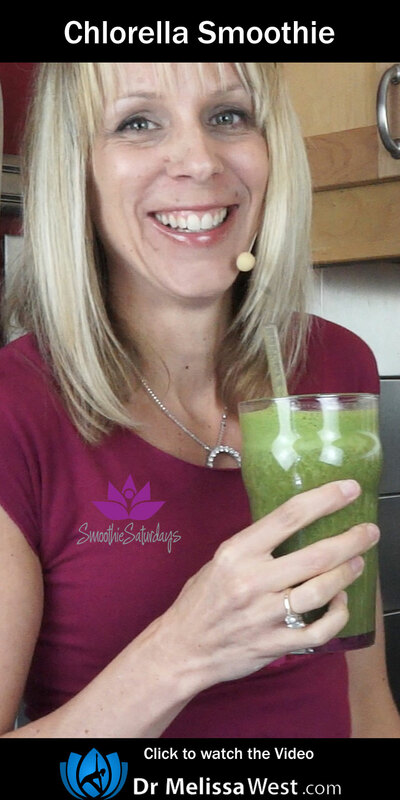 Welcome to Superfood Smoothie Saturdays! I would like to ask you about being vegetarian. Do I have to worry about lack of vitamins or right kind of protein in my body if I decide to not eat meat? Thank you for everything that you do to help other people. Love your yoga trainings. Chlorella is a freshwater green algae. It is an excellent source of Vitamin A, C, B12 and Iron, a source f Magnesium and Zinc as a host of other nutrients. 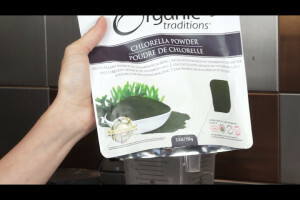 5g of chlorella (about a tsp) provides you with 200% of your vitamin C, 80% of your iron and 50% of your B12 for the day. Most vegans take a B12 supplement because you can only get B12 from animal products. When you look at the dark green colour of chlorella you will see that it is loaded with chlorophyll which helps your body detoxify and cleanse. Chlorella is also 58% protein with a balance of essential amino acids responsible or rebuilding your body’s lean tissues and neurotransmitters.